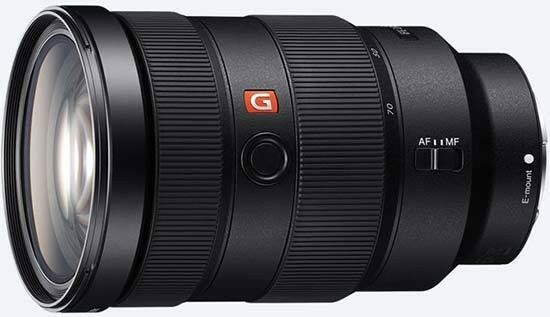 The Sony FE 24-70mm f/2.8 GM is the new benchmark standard zoom for Sony's full-frame camera range, but it's also an incredibly expensive lens too, almost rivalling the equivalent Canon and Nikon optics in terms of price. It features a fast maximum aperture of f/2.8 throughout the zoom range and is very usefully weather-proofed, while image stabilisation is helpfully provided by the newer Sony camera bodies (but not the original A7 and A7R models). The Sony FE 24-70mm f/2.8 GM is easy to use, thanks to its weather-proof build quality, smooth focusing ring, and the useful Focus Hold Button. When manually focusing the Sony FE 24-70mm f/2.8 GM delivered a very high percentage of keepers thanks to the A-series cameras' excellent Peaking feature, and it also proved to be quick, quiet and accurate when auto-focusing in most lighting conditions. Image quality is excellent. Chromatic aberrations are very well controlled, bokeh is impressive thanks to the fast f/2.8 aperture and 9-blade circular aperture, and the Nano AR Coating coatings successfully prevent contrast loss attributable to flare. The only real optical issues are some mild corner shading and slight barrel distortion at the 24mm wide-angle focal length, and a drop-off in sharpness at 35mm compared to the other main focal lengths. There are a couple of other notable drawbacks to the Sony FE 24-70mm f/2.8 GM lens. Weighing in at over 800g, it's pretty big and heavy for a standard zoom for mirrorless systems, while the asking price of £1800 / $2199 is an awful lot of money to pay for a lens. Still, we can heartily recommend the Sony FE 24-70mm f/2.8 GM as a fast and sharp lens that would happily form the cornerstone of many photographers' kit bags.